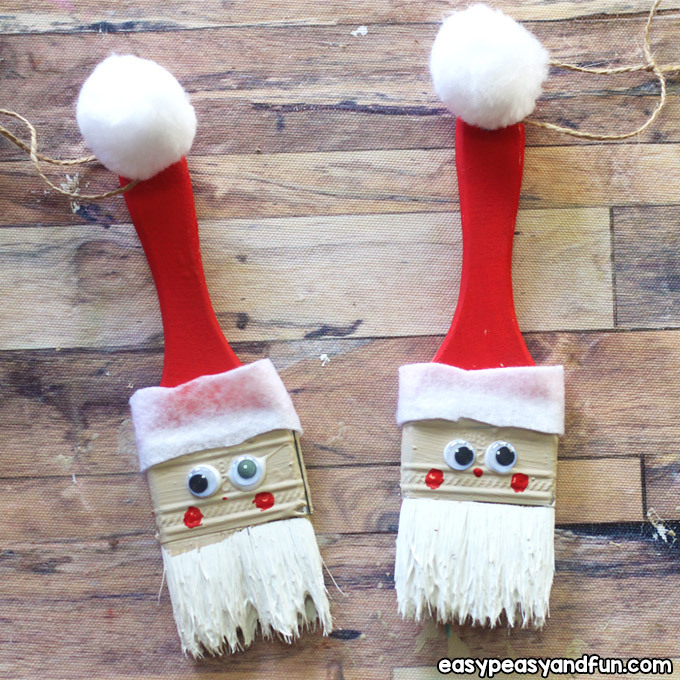 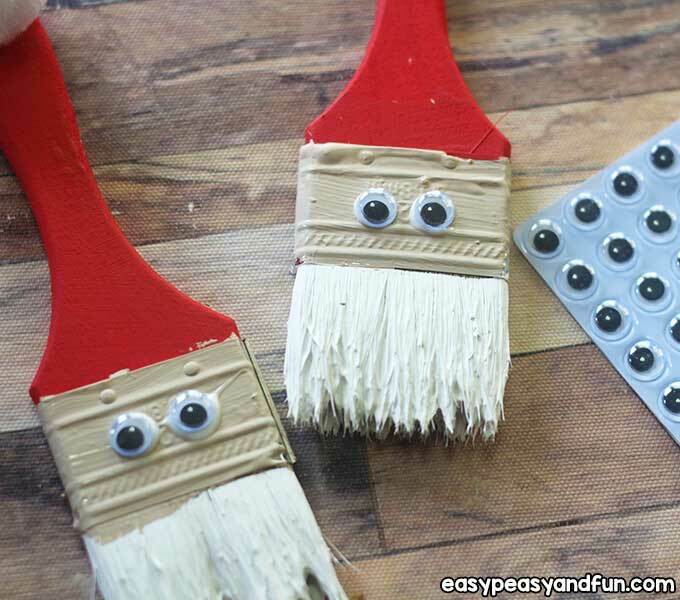 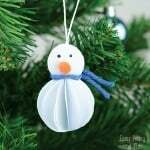 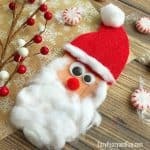 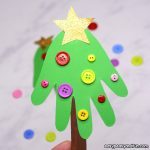 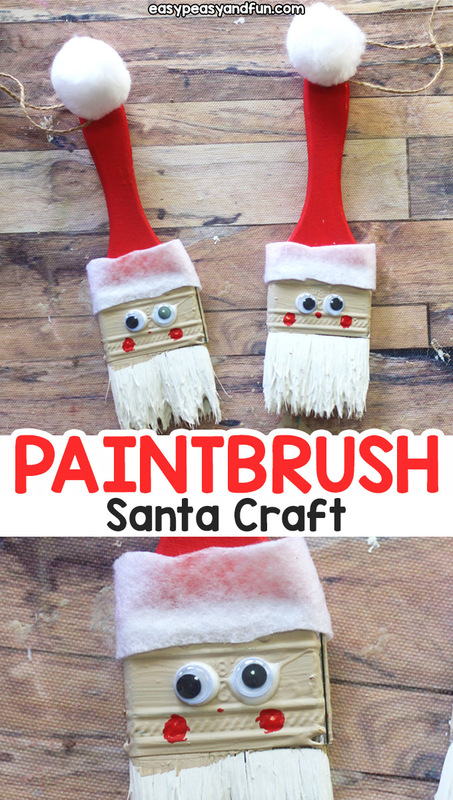 If you are into recycled crafts, this adorable paintbrush Santa ornament makes a perfect Christmas craft for kids to make. 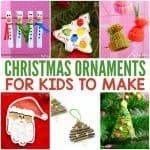 You can even make other characters and all of them will look amazing on your Christmas tree. 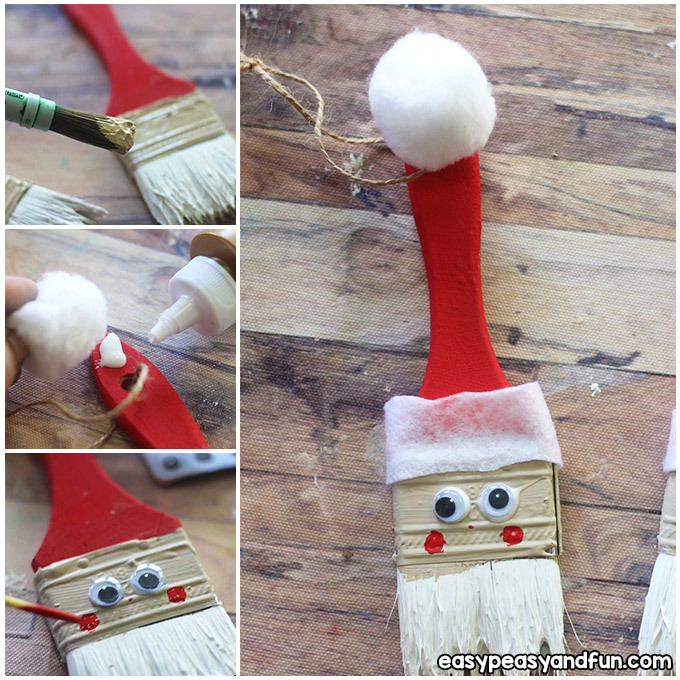 This Santa Paintbrush is a fun and inexpensive way to create a unique ornament, package hanger, or it can be added to a wreath or swag. 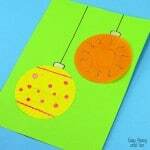 Make a big batch and hand them out to teachers, the mail carrier, friends, and family. 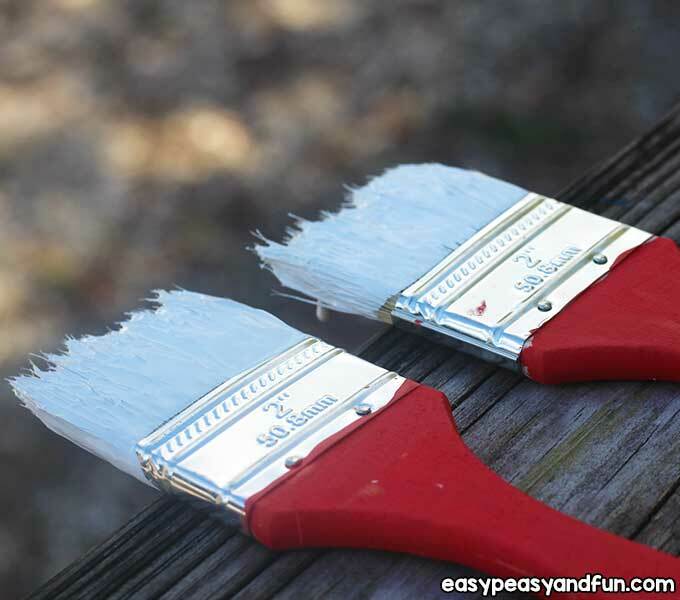 Paintbrushes can be picked up for $1 or less for this project if you don’t have any old ones and you probably have all the other supplies in your craft stash! 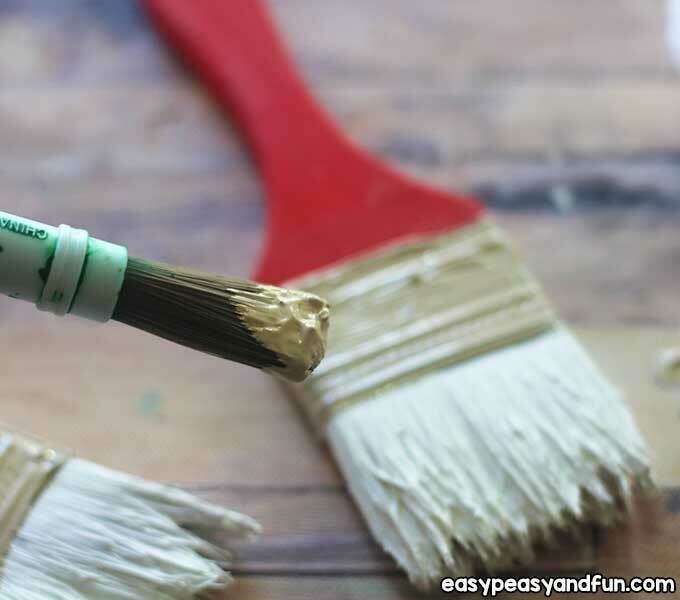 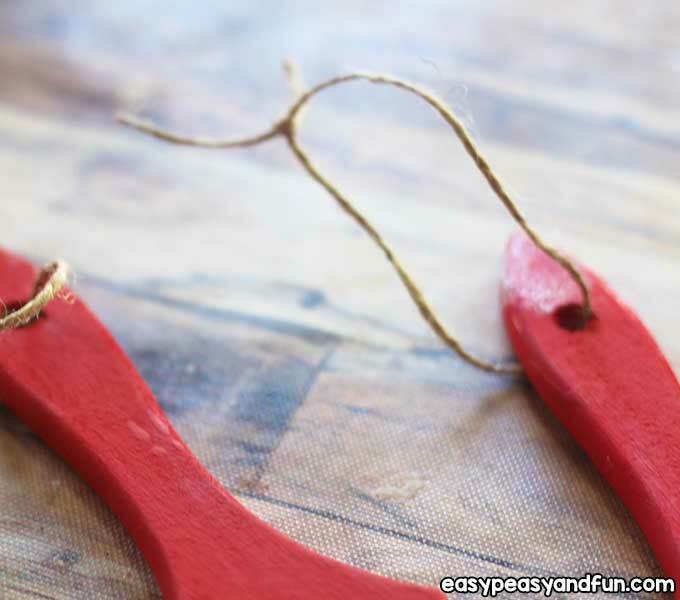 Begin by painting the entire wooden handle with red paint, allow to dry. 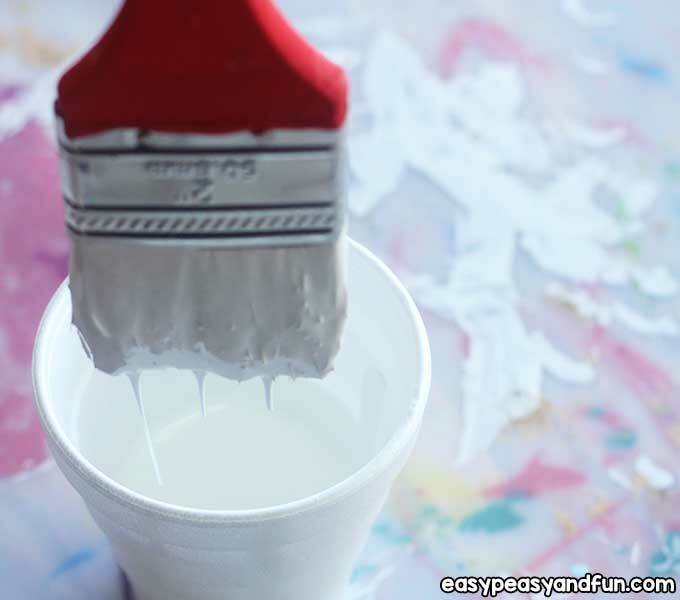 Pour white paint into a paper cup until it is as high as the bristles in your paintbrush. 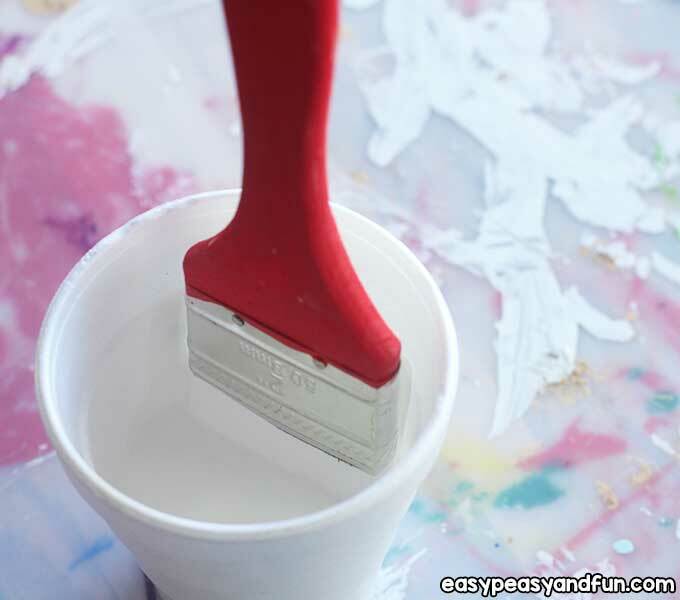 Carefully dip the brush into the paint just up to the metal portion of the brush. 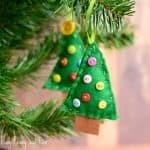 Shake off excess and either lay flat to dry so that it is hanging off the surface as you see here or you can hang from something like a tree to let it drip and dry. 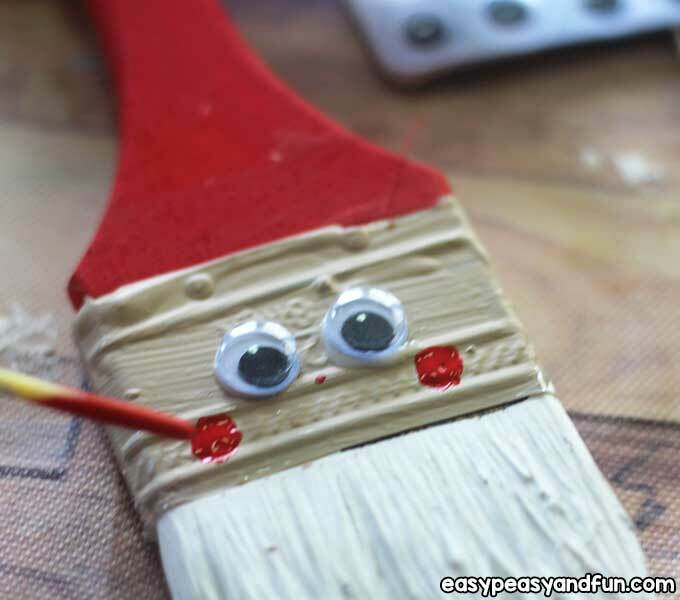 Once your beard is dry take a very small paintbrush and paint the metal section with flesh colored paint and allow to dry. 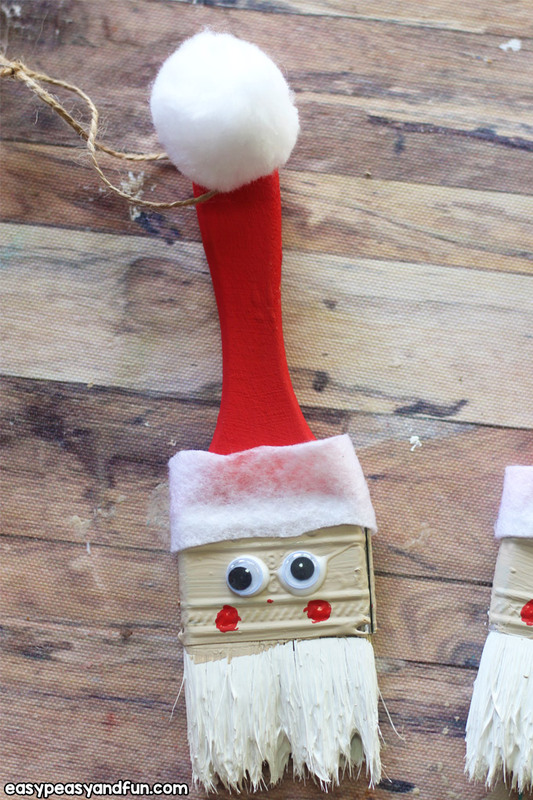 … and a rosy red nose. 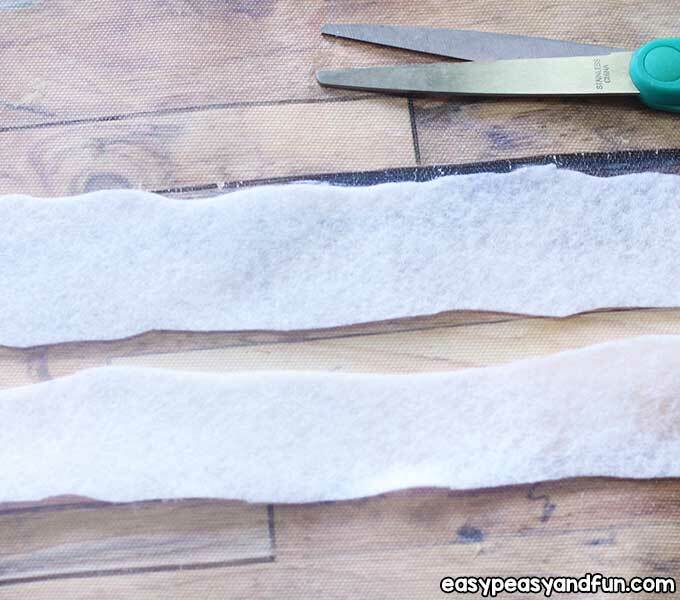 Cut white felt into a strip about 1” wide, give it a little bit of a wavy trim so that it is not so sharp-edged. 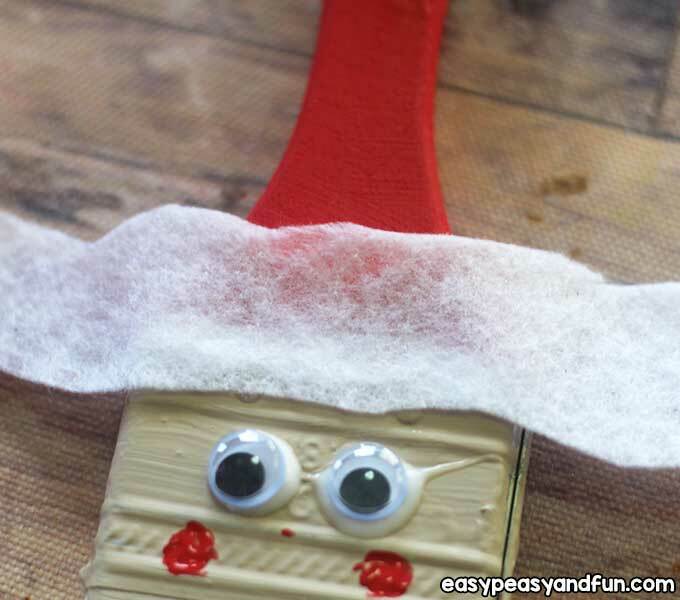 Secure the felt strip with craft glue so that it is mostly over the red handle and just slightly overlapping the metal. 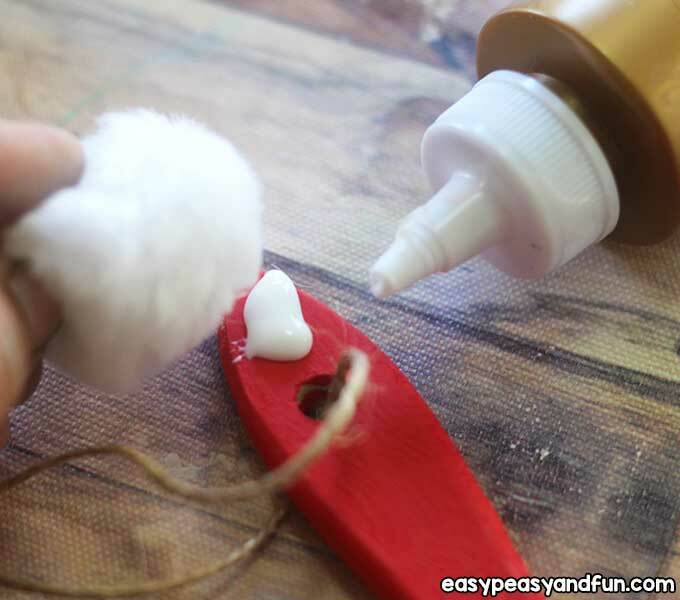 …and glue on a white pompom to complete Santas hat. 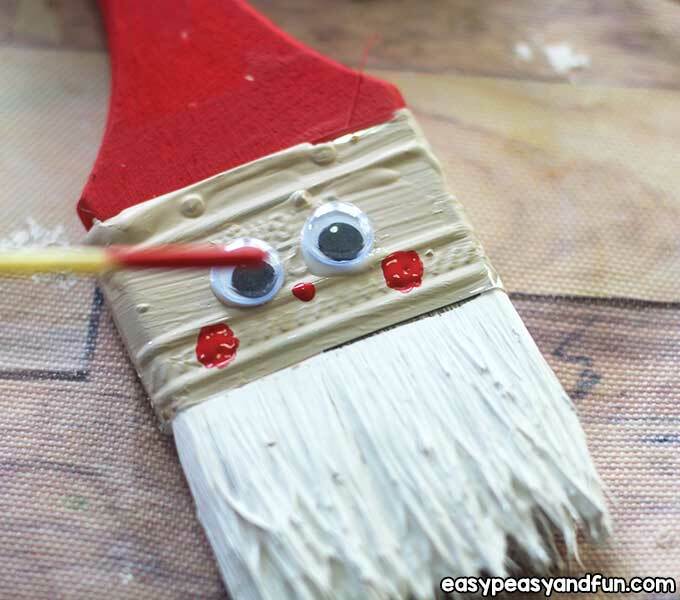 Your Paintbrush Santa is all done.